Bell’s palsy is a condition that affects part of the face and causes paralysis in the affected muscles. It is brought about by swelling, compression or inflammation of the nerve that controls the facial muscles. One side of the face droops or becomes stiff due to the condition. This makes it hard to smile or close the eye on the affected side. The disease is not permanent and in most cases the symptoms last for a week and go away. Although people of all ages are susceptible to the condition, it mostly affects people between the ages of 16 and 60. It is named after Sir Charles Bell who was a Scottish surgeon. He studied the nerve affected with the disease some 200 years ago. Bell’s Palsy occurs more frequently than most people realize. Statistics looking into its occurrence found that it affects 0.2% of the worldwide population. When scaled down, this is 1 out of 5000 people. You are advised to see a doctor immediately you experience the symptoms. Never self-diagnose as the symptoms are much like those of more serious illnesses like a brain tumor or stroke. There are cases where the symptoms improve without the need for treatment. That being said, it may take several weeks or months before the muscles in the face regain their strength and go back to optimum function. Treatments such as corticosteroid drugs will help reduce inflammation. In the case of a viral infection being the cause, there will be antiviral medication in the prescription. Patients also use pain killers for alleviation of mild pain. Physical exercise should also be used to stimulate facial muscles into activity. Acupuncture is a form of holistic treatment which helps in the improvement of symptoms for many pain related conditions; it can be used for both children and grownups alike. Acupuncture is used to balance the qi energy in the body through inserting needles on acupuncture points in the body. 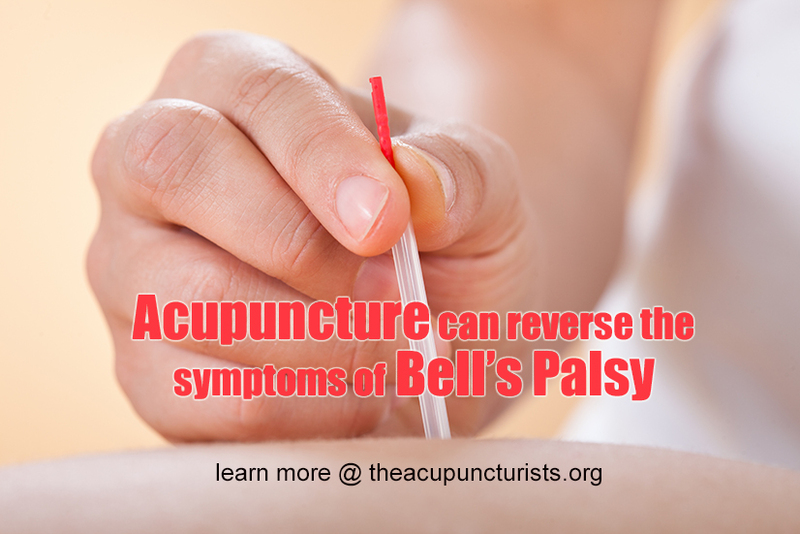 Using it for Bell’s palsy helps reverse drooping and stiffness which are two of the more prominent symptoms. It achieves this by facilitating energy and blood flow, reducing spasm and inflammation in the affected areas. 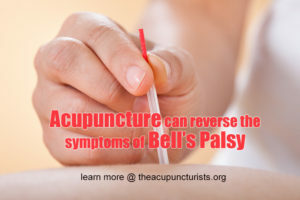 In one study a 15 year old girl with Bell’s palsy that went on for 7 years, and did not respond to steroids, was treated using acupuncture. After 2 months and 10 sessions of acupuncture treatment, the patient experienced a 70% self-perceived improvement in muscle strength. Her ability to puff out her cheeks and smile was increased from 20% strength to 65%. The strength to control eyebrow movement was increased from 10% to 70%. The girl had a little asymmetry in the eyes as one was smaller than the other. Photos taken after the acupuncture sessions showed that symmetry was regained. Research studies such as these go to show that acupuncture is a form of holistic treatment that actually works and quite effectively at that. In Bell’s Palsy, it has substantial cosmetic as well as functional results. At our wellness center serving Margate, Coral Springs and Coconut Creek, we have had significant success treating Bell’s Palsy. If you’ve been diagnosed with this condition, let us help. We can work with you and your primary care doctor to facilitate quick and lasting results. Consultations are always free so call us today. J Altern Complement Med (2008; Sep14(7):847-53), Wong CL et al.